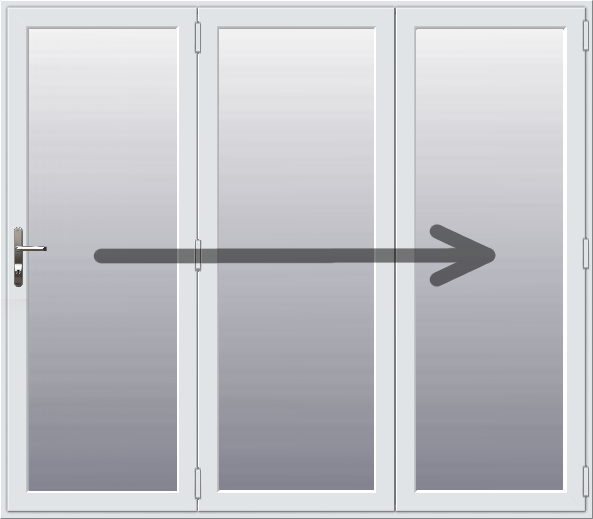 Our 3 pane bifold doors have multi point locking systems and are therefore highly secure as standard. Offering unsurpassed views into a garden, out onto a dramatic landscape or simply joining a space into a conservatory without impediment. Our high quality sliding mechanism ensures a smooth and controlled operation. As the doors glide open and closed there is no risk of rot, rust or flake due to all the parts being made from aluminium and stainless steel. UPVC Bifold doors are sure to become a welcomed addition to any property.